Each year around Christmas the Indianapolis Arts Council hosts a show titled “TINY” and each year I think I’ll enter something, then don’t get it done. This year I was in the midst of creating the WOOD|STONE|METAL artwork when the call came out so I actually created some pieces to submit! 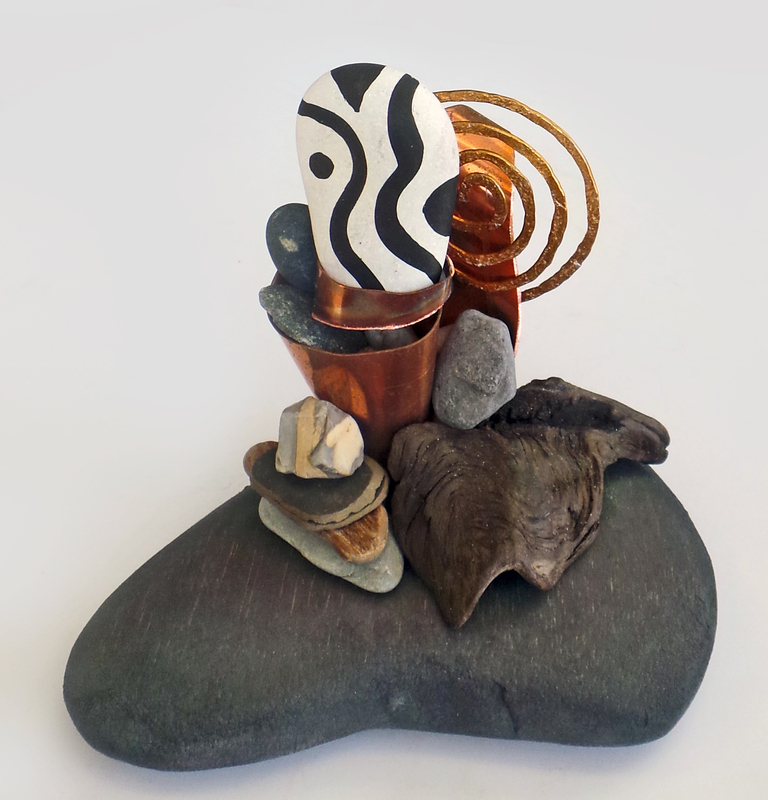 All these use some combination of natural stones, painted stones, driftwood, balsa wood, metal, paint & ink. Basically the exact same materials I was creating larger pieces from. 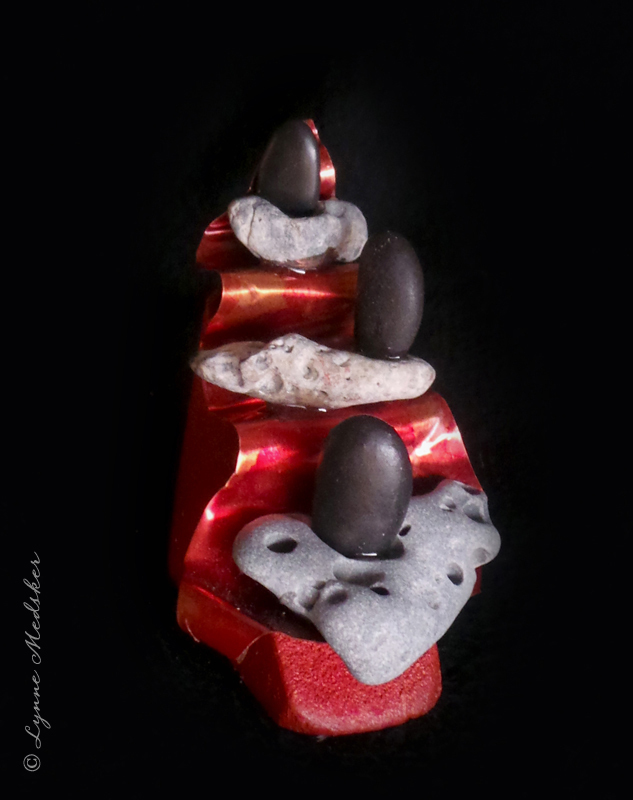 I don’t really have any step–by-step images of their creation so I’ll share with you images of each individual piece so you can get a better idea of the details. 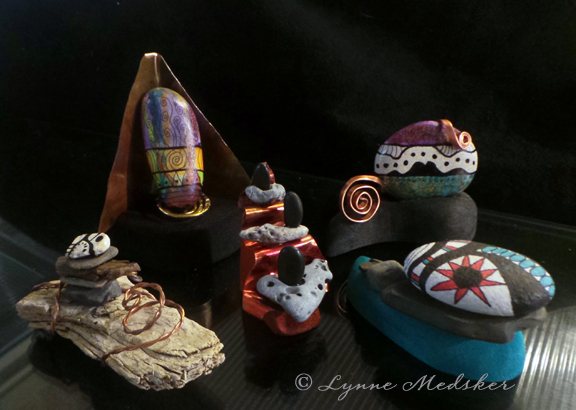 Each of them are currently available to purchase online in my “Giftables” shop, along with a selection of other small artistic pieces. 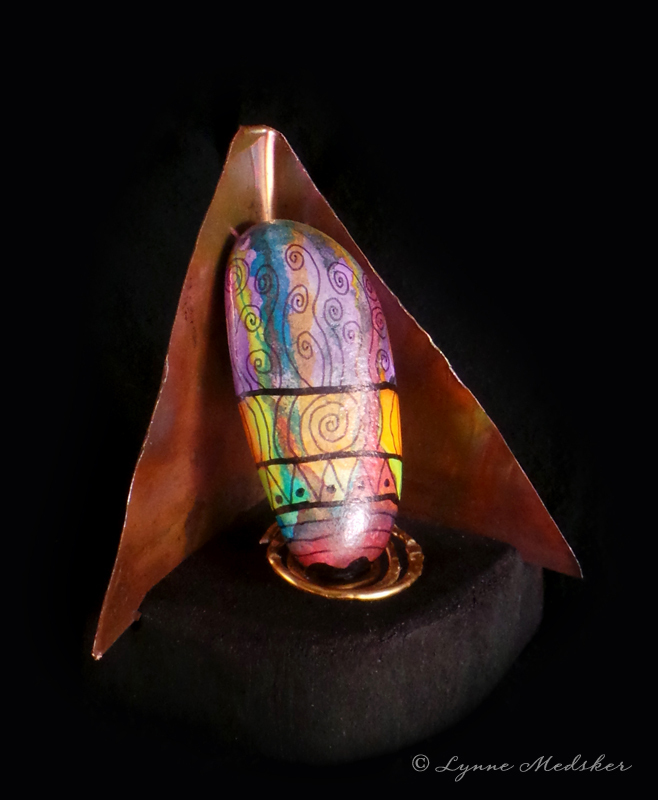 Of the above five pieces one was selected for the show, Origins. Which piece (or pieces) would you have selected? 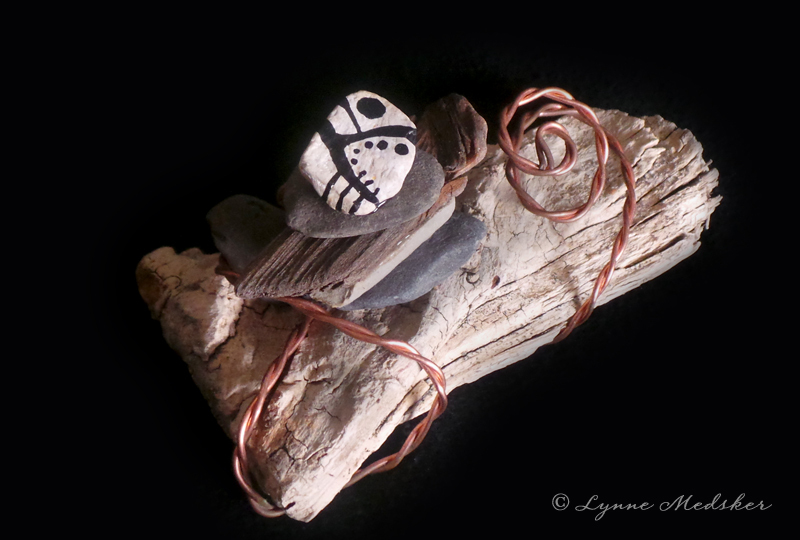 One of the first pieces I created in my newest series “Wood|Stone|Metal”, this is “Serendipity”. The entire series could have been named that, it just came together in a delightful way! 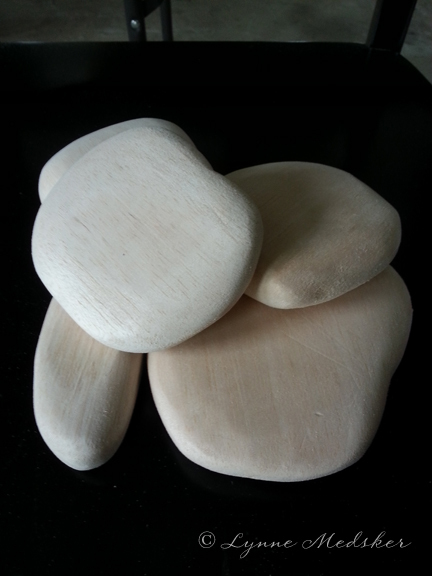 For many years I’ve collect bits of driftwood, sticks, stones and other items as I’ve traveled through life knowing that “someday” I would do something with them. 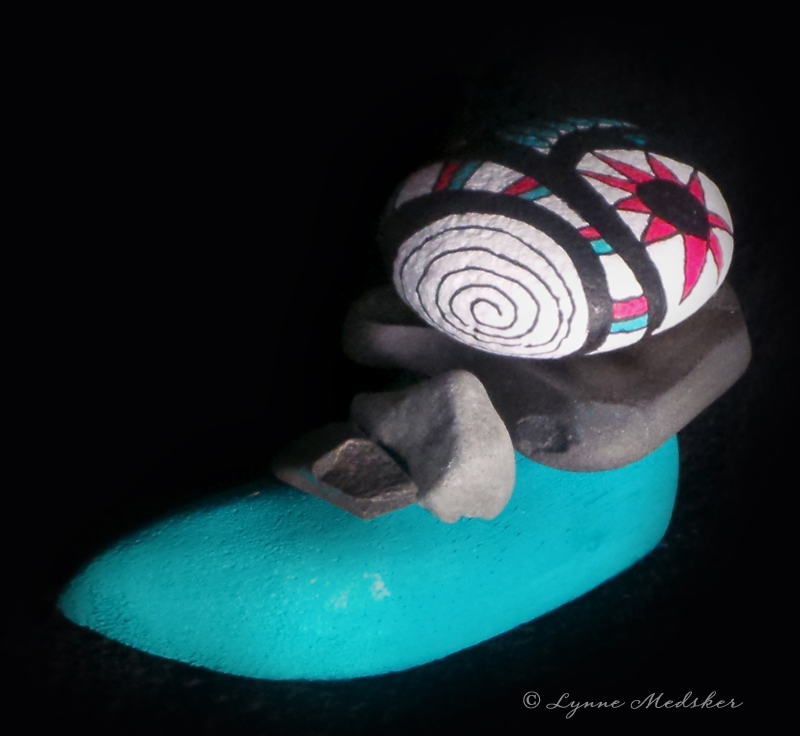 With that stash of fun things around I was posed the question “what did you really enjoy doing as a child?” and immediately my love for collecting rocks in a shoebox popped into my mind. 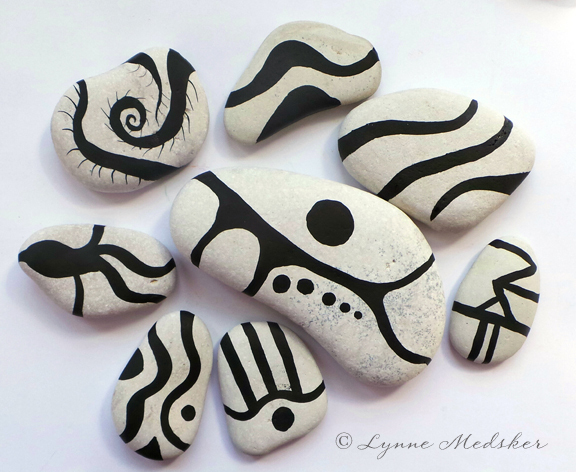 Even if they were just small pieces of gravel from our driveway adorned with paint, I spent many happy hours with rocks, as well as playing in nature with whatever I could find. But how to incorporate all that into works of art? That was when the exploring began. Sorting, stacking, painting, and arranging I began to gather/create items that might work together in a natural way. 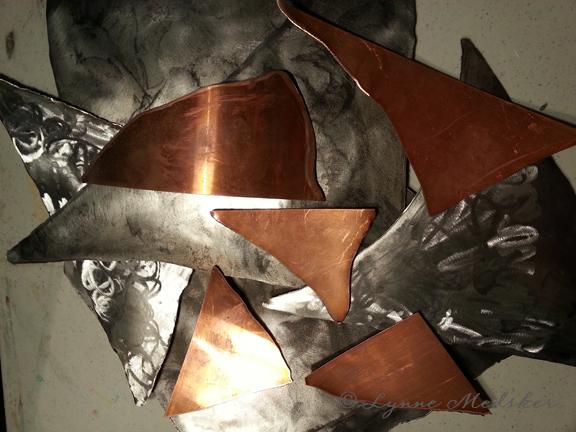 With the plasma cutter I started a collection of steel and copper shapes to use. 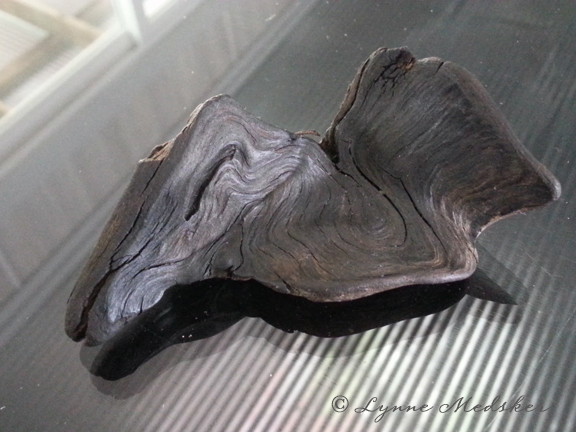 From my newly gathered stash of scrap balsa wood pieces I began to shape organic, rock-like pieces. 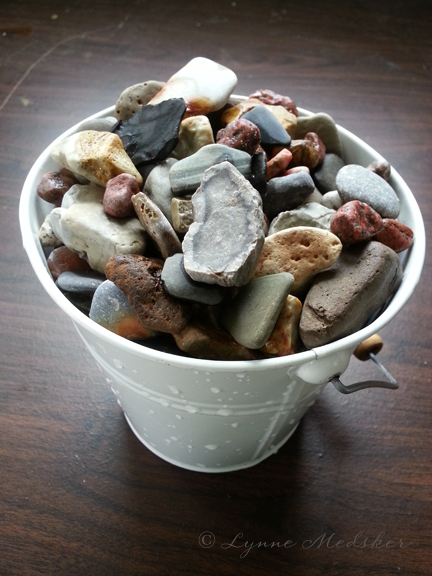 Rocks were pulled from jars, boxes and storage spots…as well as the landscape! 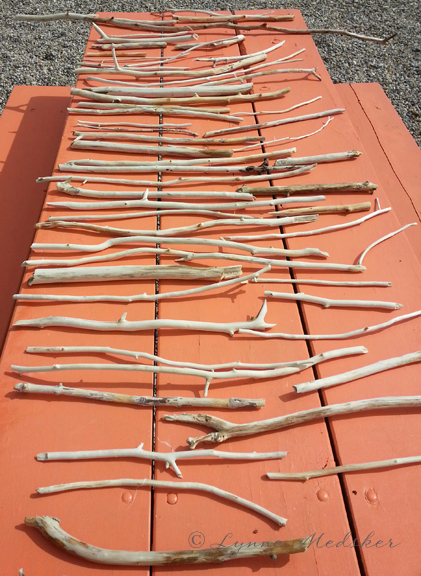 Driftwood, collected on my travels, was unearthed and more sticks gathered in our woods were stripped, cleaned and bleached to add to the pile. 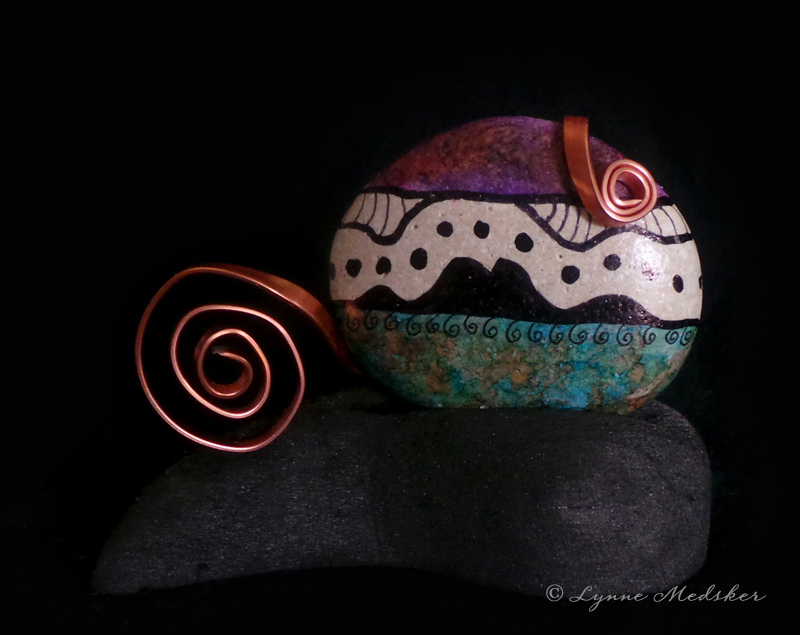 I also began experimenting with paint on stones. 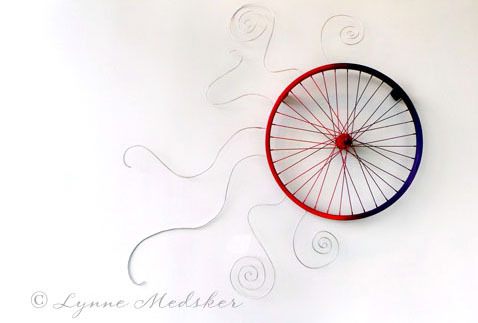 Although I ended up with more wall art than sculptures, it was fun to express myself in a more dimensional form. Look for both types to be featured over the following weeks! Wow…didn’t realize this never got posted! It’s been hanging around in the “drafts” folder since September! Ooops! I really enjoyed designing and creating this piece…as you’ll see in future post I continued to work with balsa for several more months! 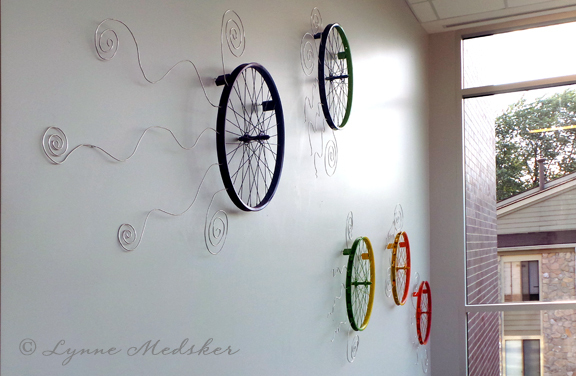 This summer I was commissioned to create two art pieces for a new medical building. 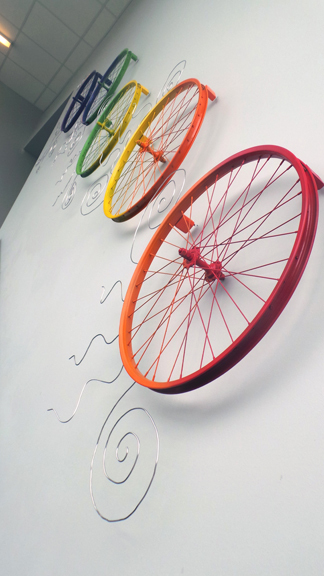 The first piece, shown here after installation, is titled “Transit”. 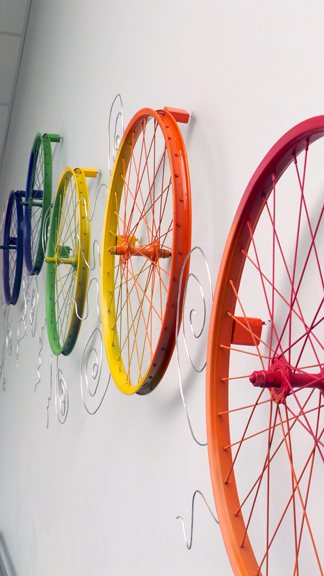 Paint on the saw horses…they’re beautiful now! 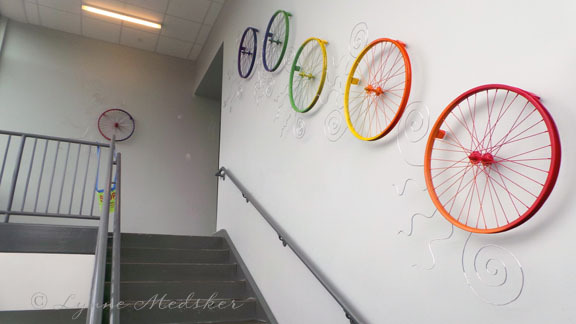 Next blog post I’ll share the other commissioned artwork for this facility. 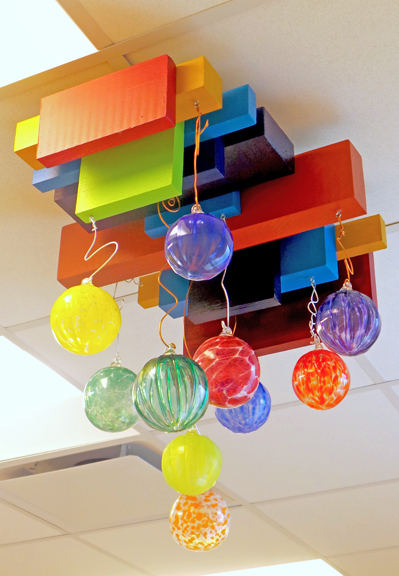 Plus some other new artwork created with the same material…once I got into it, I just kept going!